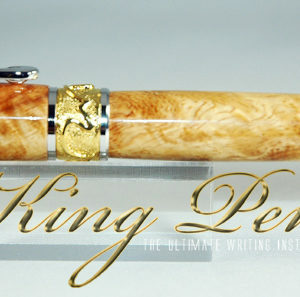 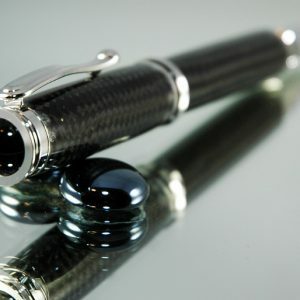 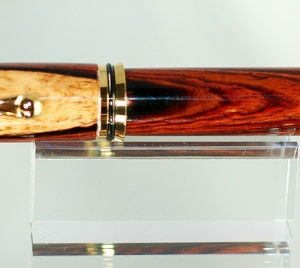 This pen is a beautiful rollerball style pen and accented in 22K Gold and Rhodium. 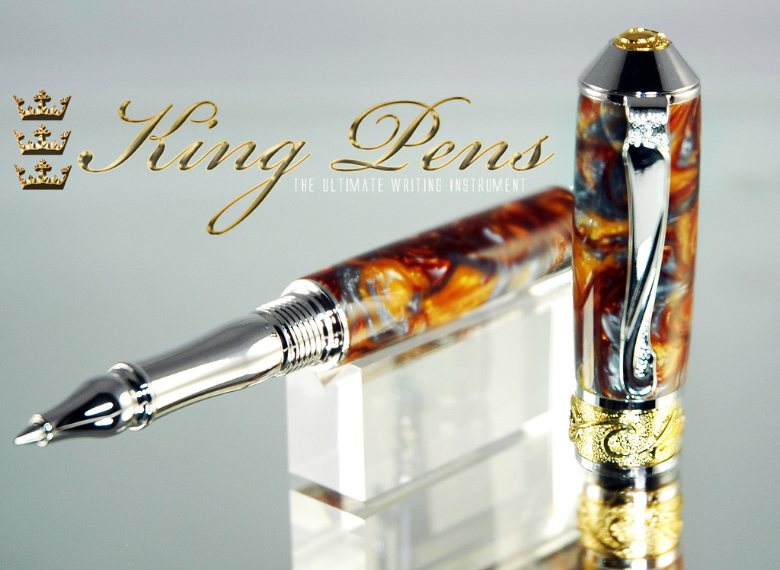 The Prince Rollerball Pen is made using King Pens “Nebula” acrylic. 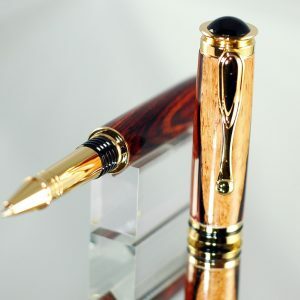 This pen is a beautiful rollerball style pen and accented in 22K Gold and Rhodium. 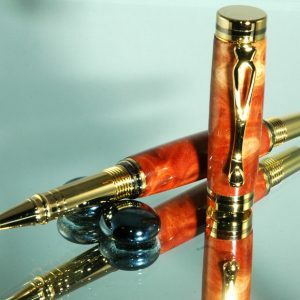 This is a real head turner!!! 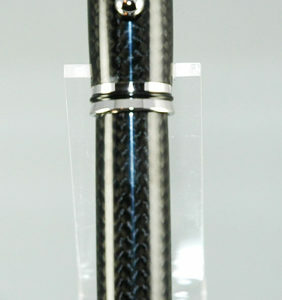 It utilizes a Schmidt 5888 refill. 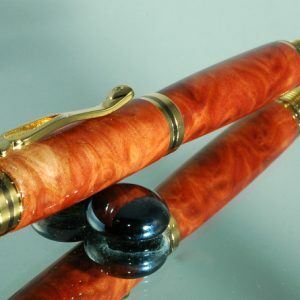 The depth and beauty of this pen really stands out when you view it in sunlight. 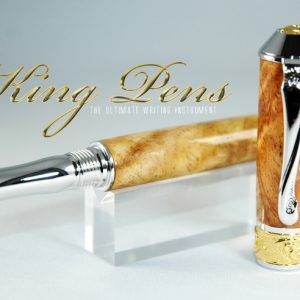 All exposed accent rings, bands and caps include elegant custom casted 3 dimensional designs.